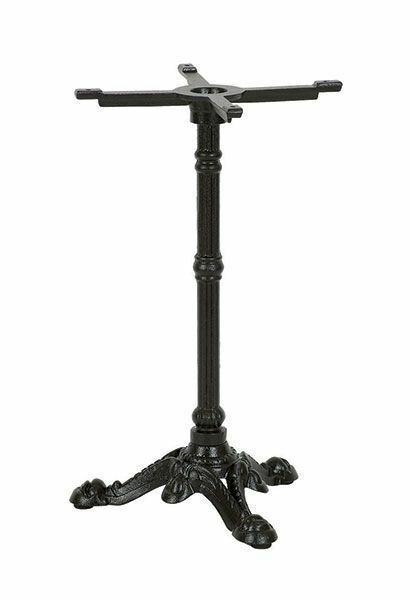 Ornamental outdoor table base in a Black finish designed for use with table tops up to 800mm round or square. Available from stock for a free and fast delivery. Classic style table base with feature three foot design and a strong column. Conveniently held in stock for a quick delivery.